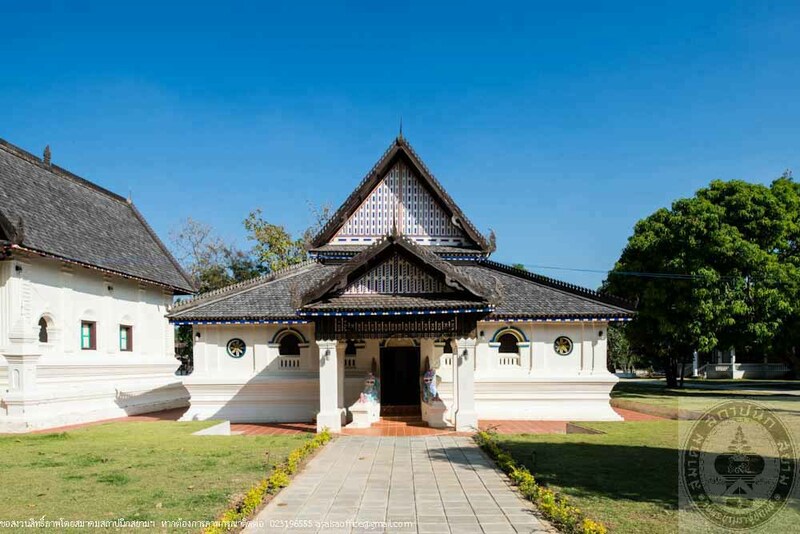 Wat Rat Pradit, formerly known as Wat Po Chai, was founded in 1827 and was granted Wisungkhamasima or a land for establishing central hall in 1927. 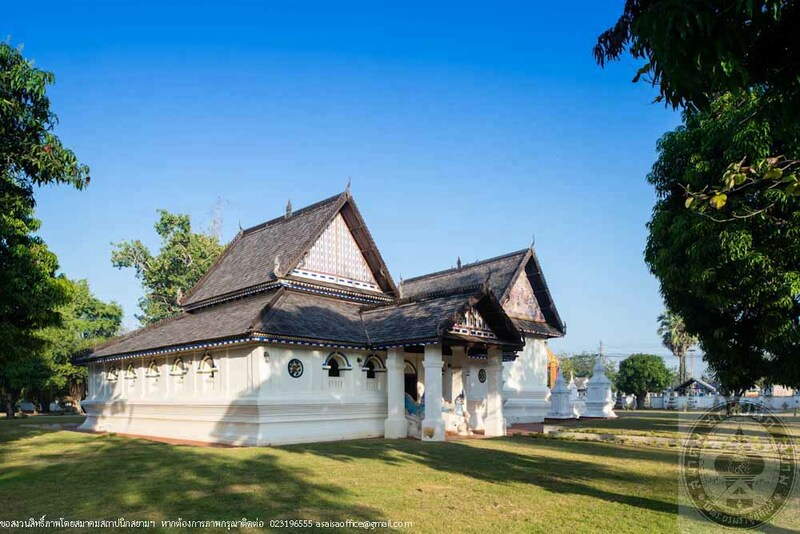 The granted Wisungkhamasima is of 11.50 meter wide and 16.50 meter long. 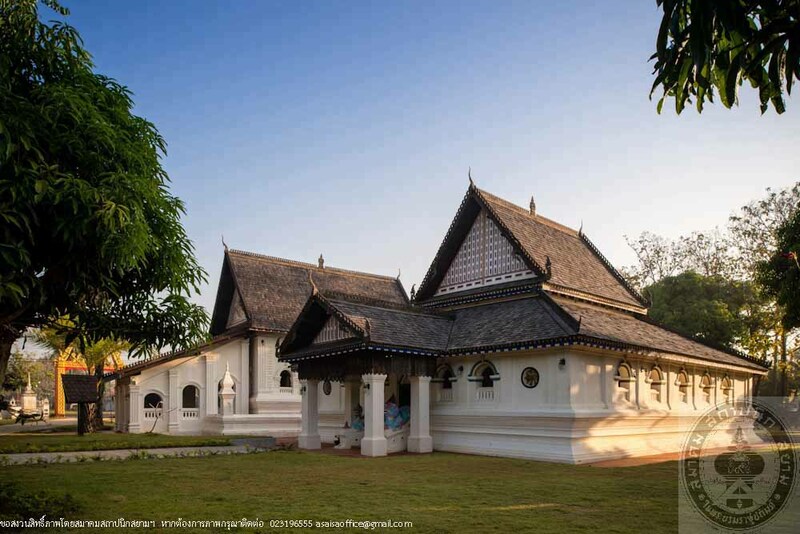 An important temple of Ban Kradian community, it has been used by the local folk in religious ceremonies for a very long time. 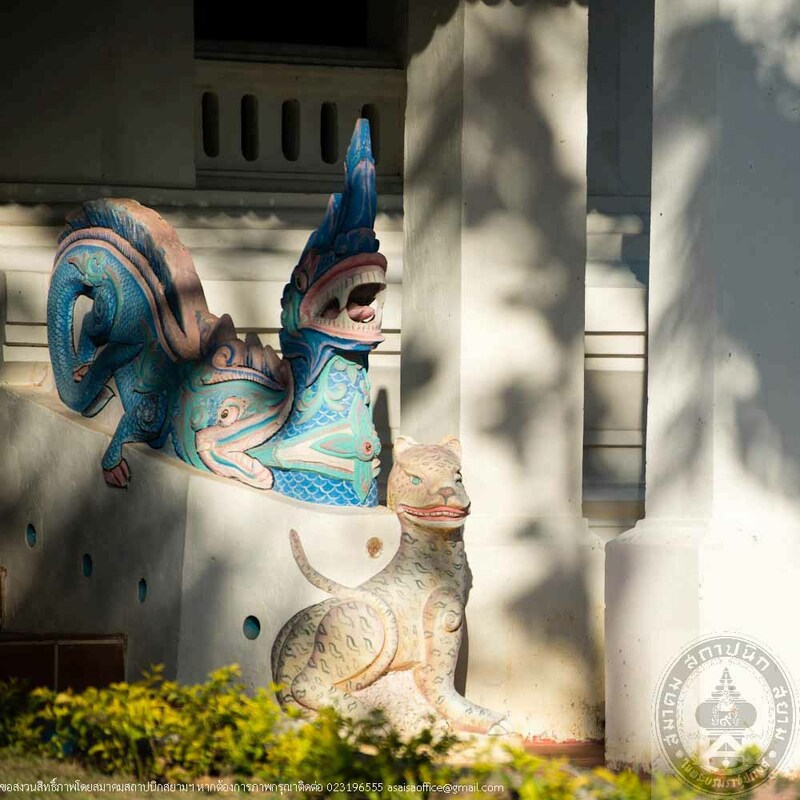 The temple’s significant historic sites including Sim (Ubosot) Ho Chaek (Sermon Hall) and Painted Residence were registered by the Fine Arts Departments. Boundary demarcation of Wat Rat Pradit historical ground was announced in the Government Gazette, Volume 118 Section 124; December 17, 2001 issue. The historical ground measures about 3 Rai 1 Ngan 55 Square Wa. 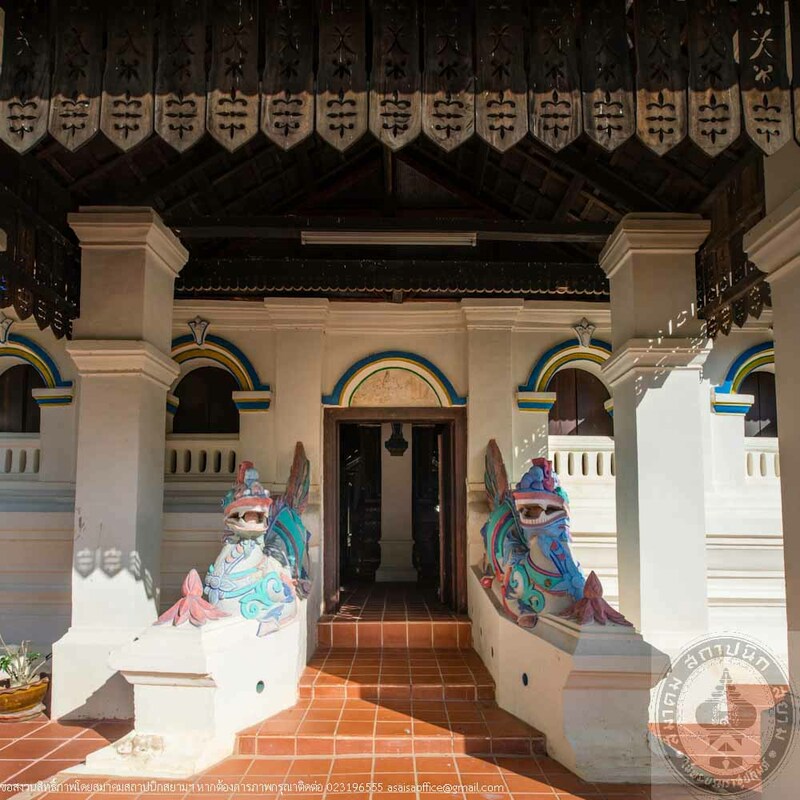 Later from the years 2011 to 2013, the Fine Arts Department, District 11 Ubon Ratchathani initiated the restoration of the 3 structures with allocated funds from the Fine Arts Departments and by donation. Sim (Ubosot) is of a rectangular pattern facing West. Ancient style brick masonry building consists of 4 rooms, a front portico and a verandah. High Ew Khan Base surrounded with low wall. 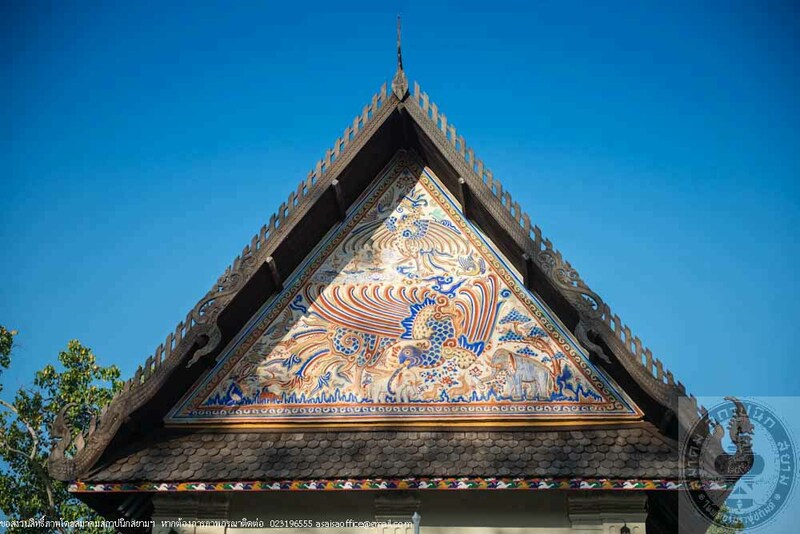 Bird winged gable roof covered with wood shingles and decorated with roof ornaments, Cho Fah, Lamyong, Hang Hong. Roof eaves made of wood panels carved into patterns. The front gable end embellished with stucco works of dragons, swans, fish, crabs, shrimps, turtles, alligators and lotus figures. 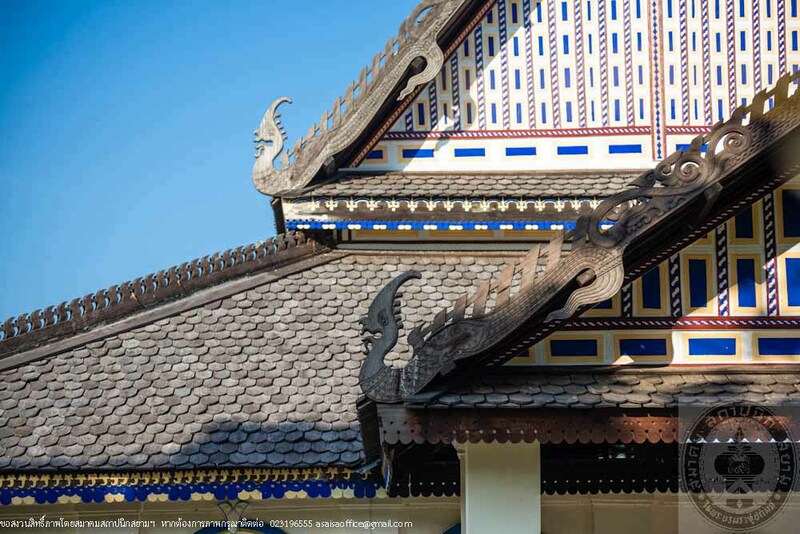 The back gable end featured mythical Husadilingu birds, swans, elephants, deer, trees and flowers. Flared staircase decorated with Makara stucco railing. 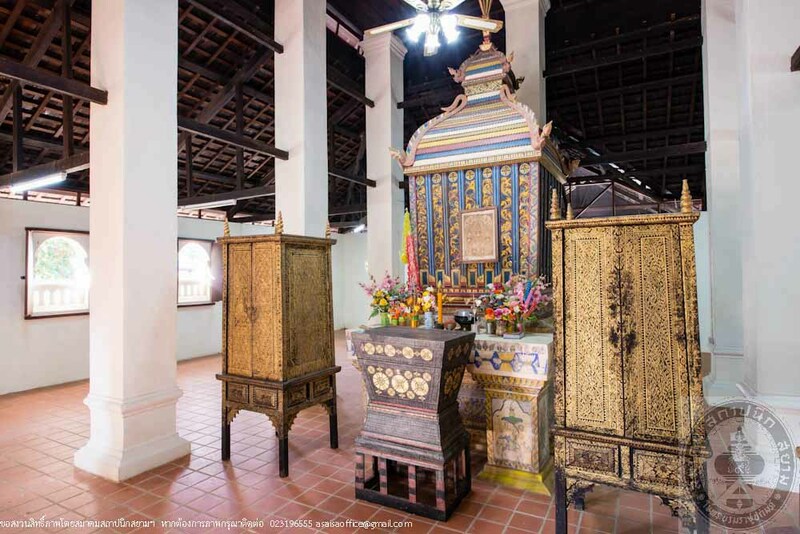 The Ubosot’s side walls have 2 windows each with inward swing wood window pane and decorated with semicircular arch on the outside. The exterior wall and verandah wall decorated with lotus-top columns, some of which features fish relief sculpture. The front portico walls were left open with semicircular arch opening on each side supported by lotus top columns as well. A single entrance with double panel, inward swing wood doors. Over the door façade adorned with bas-relief stucco. In the center of the façade was a mural of sitting Buddha. The Ubosot houses an ancient Buddha image in Manwichai posture on a long plaster base. Behind the principle Buddha image on both sides were wall murals of standing Buddha images. 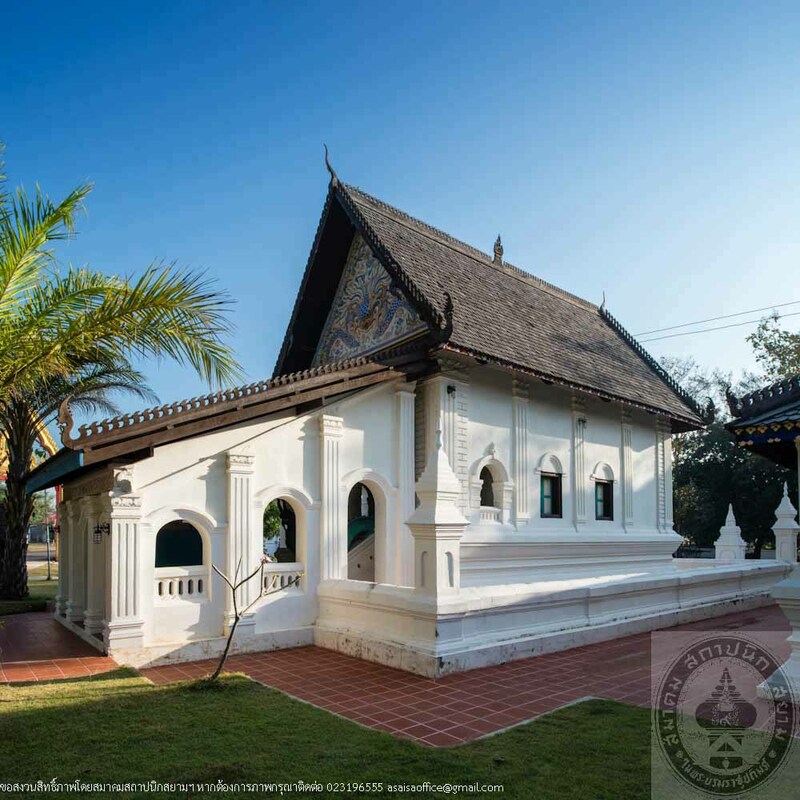 Ho Chaek (Sermon Hall) is of a rectangular pattern facing West. Brick masonry structure with ancient plaster cement. Lotus shaped pedestal. Bird winged gable covered with wood shingles. Cho Fah, Lamyong and roof ridges are of carved woods. Roof eaves embellished with wood panels, carved and perforated with patterns. Porticos with staircase in front and out of left second room verandah in rear. Railings topped with stucco sculpture of a dragon spitting naga. To the east stood two tiger-like creatures guarding each side of the staircase. An old pulpit inside the hall was built of brick masonry and decorated with colorful floral ornaments. Body of the pulpit and the top ornaments are made of carved wood and gold appliqué on black lacquer. Painted Residence is a wood structure with wood pillars and an open space underneath. There were three connecting units and somehow only two remain. The residence is facing West. The main unit has bird winged gable roof covered with wood shingles and Luk Fak patterns on gable ends. 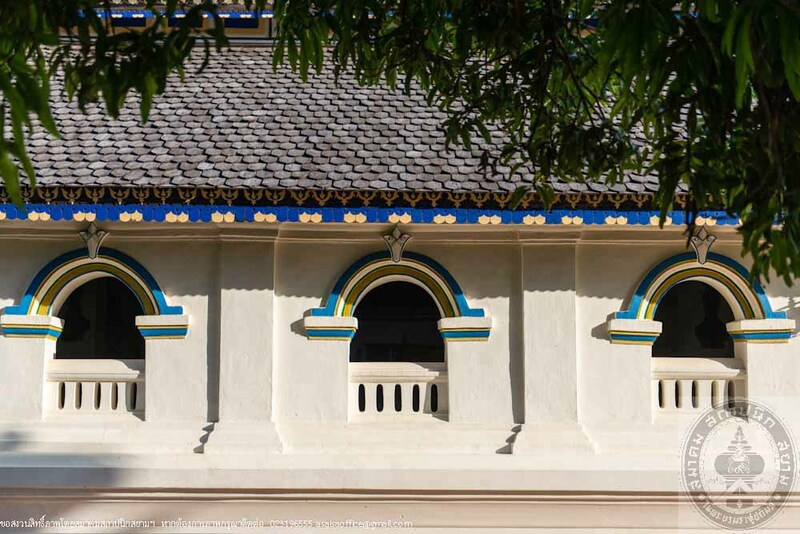 The roof ornaments are of pattern carved woods including Cho Fah, gable end and Hang Hong. Color-tinged Sai Bua wall pattern throughout. Carved and painted wood rim joists. Window opening with Yong, one in the front and one on the side. Double panels with mullion, inward swing. Carved and painted frames. The siding is the size of three rooms with one small single-panel inward-swing window in each room. On the other side stood a double-panel, inward swing door with mullion, carved and painted frame. Another residence is an open space with bird winged gable roof covered with wood shingles. Sun patterned gable end, carved and embellished with tinted glass. Two staircases going up on each side. Roof ornaments made of carved wood. 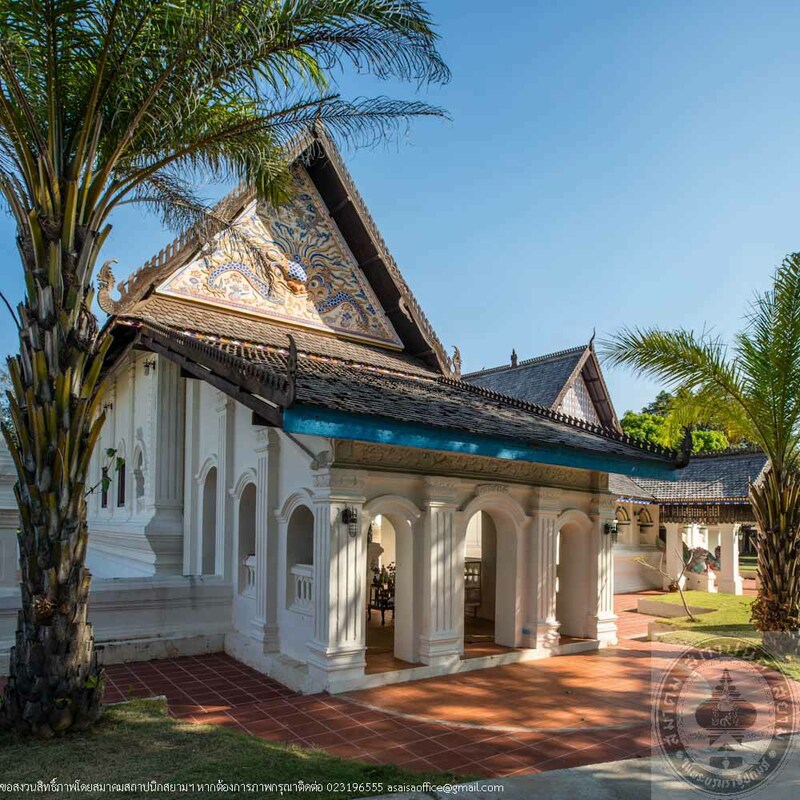 Sim (Ubosot), Ho Chaek (Sermon Hall) and Painted Residence of Wat Rat Pradit are a valuable architectural heritage of Ban Kradian community. The three structures received continuous care and maintenance which resulting in a well preservation of its artistic and architectural values and are still in use in religious activities as well as being a place that withhold the spirit of the people in the community to this day.